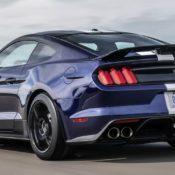 We are entirely sure if we should call the new 2019 Shelby GT350 a muscle car. 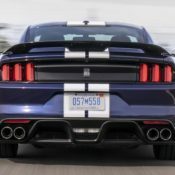 All the evidence suggest that it’s become a full-blooded sports car, what with the input used in the making of it from the Mustang road course racing programs. 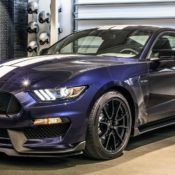 In any case, it is a fast and handsome ‘Stang, this new GT350, and you definitely want one. You want one, but you probably shouldn’t get one. Ford themselves have given us a reason not to buy this car. 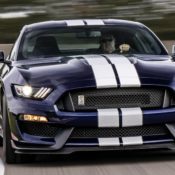 They say that to enhance the performance of the 2019 Shelby GT350 they have used features that are reserved for the upcoming GT500 in this car. So why get the impostor, the discount version? Why not wait and get the real thing with more power and better performance? One reason, of course, could be the cost. 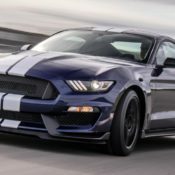 Ford is yet to release the MSRP for the 2019 Shelby GT350, but rest assured, it is going to be a lot less than a GT500. It also seems to be just right in the specs that it offers. Yes, the GT500 will be spicier and more thrilling, but the fun that the GT350 offers lasts longer. Compared to the previous gen the new model boasts an all-new rear spoiler with optional Gurney flap and optimized grille closeouts, upgraded MagneRide active suspension, uprated brakes, and 295/35 front and 305/35 rear tires around new 19 inch wheels. All of this means the car is tuned for optimum track performance. The beating heart of the new GT350 is a high-revving 5.2-liter V8 with 526 horsepower and 429 lb.-ft. of torque. The engine is mated to a track-tuned precise-shifting Tremec 6-speed manual transmission, and the combo has been exhaustively tested by racing driver Billy Johnson. Other highlights include Recaro race seats. carbon fiber and suede trims, and luxury features such as 12-speaker B&O PLAY audio system by HARMAN and SYNC3 infotainment. 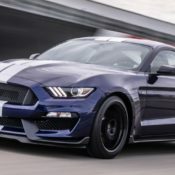 The post 2019 Shelby GT350 Is a High-Tech Muscle Car appeared first on Motorward.